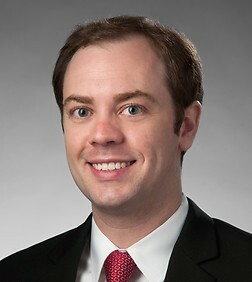 A large portion of Mr. Poell’s practice is devoted to defending companies against class and individual actions brought under various state and federal consumer protection statutes, including the Telephone Consumer Protection Act (TCPA) and the Fair and Accurate Credit Transactions Act (FACTA), as well as other consumer-privacy and unfair business practices laws and regulations. He also advises companies regarding privacy and direct-marketing matters, such as drafting privacy policies and providing guidance on compliance with FCC, FTC and state-specific rules and regulations. Mr. Poell also has experience in the appellate litigation and is well-versed in matters involving Constitutional standing questions and the scope of federal jurisdiction. Additionally, Mr. Poell provides assistance to the Intellectual Property practice group in the area of patent infringement litigation. Represented prisoner in Eighth Amendment excessive force trial in the Eastern District of Missouri.